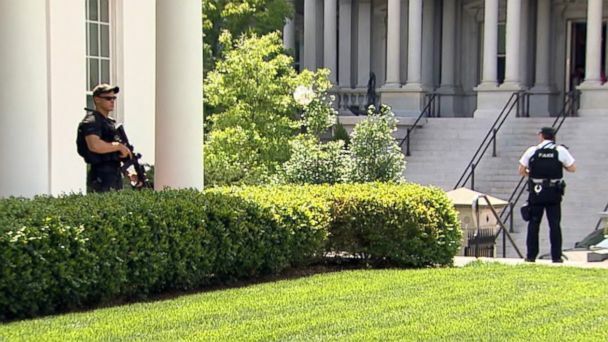 The White House was locked down for around 45 minutes Friday afternoon after a man carrying a gun near the complex was shot by Secret Service agents, a senior administration official said. Sources familiar with the investigation identified the man to ABC News as Jesse A. Olivieri of Pennsylvania. Just after 3 p.m., Olivieri, who was carrying a gun, approached a Secret Service checkpoint on the outer perimeter of the White House grounds, near 17th and E Street Northwest. He ignored commands from Secret Service officers to drop his weapon, and began brandishing his firearm, the official said. A Secret Service agent then fired a single shot at Olivieri, wounding him, according to the official. He was then taken into custody and Secret Service personnel administered first aid. Olivieri was transported to a local hospital, where he is being treated. The president was not in the White House at the time of the incident and the lockdown was lifted just after 4 p.m. Vice President Biden was reported to be "within the complex" at the White House, but is "secure," according to a spokesperson. Snipers took to the White House roof with guns drawn as people were cleared off the streets. Some people were heard screaming on Pennsylvania Avenue. ABC News' Jack Date, John Parkinson and Pierre Thomas contributed to this report.